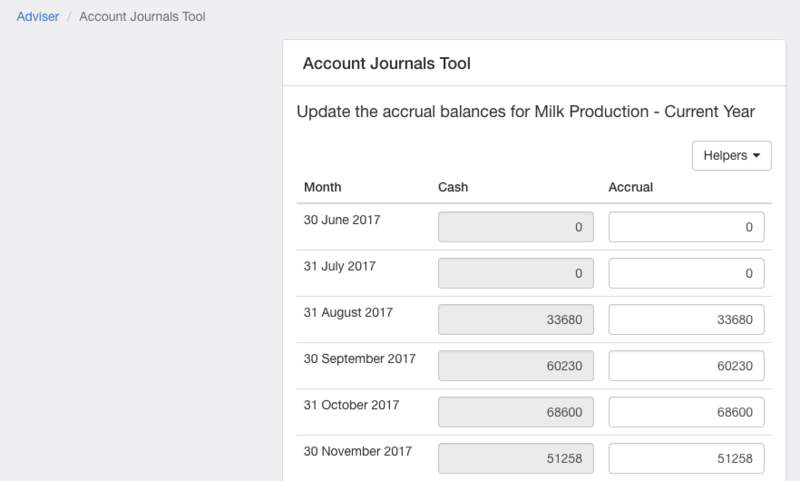 If you want to have your milk income align up with the kgMS in your milk trading statement then we'd recommend you use the Account journals tool available in Figured to do that. 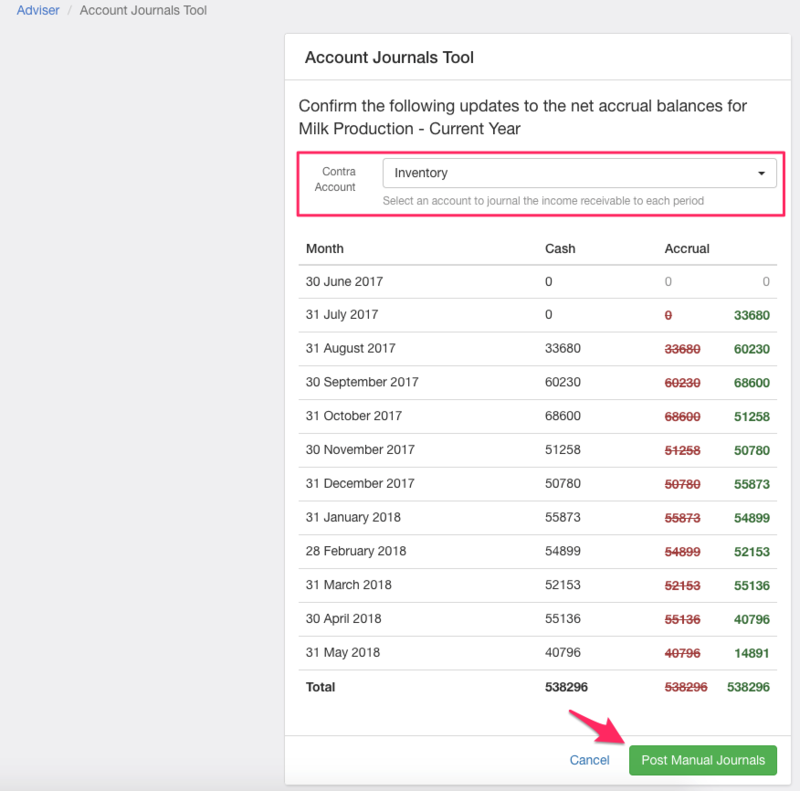 It's best to use for users who are on a Xero Cashbook subscription and who are unable to raise invoices - meaning their milk income is being cash coded each month in Xero, so the cash / accrual dates are the same. NOTE: This tool is intended to be used at the end of a financial year, it's not recommended to use monthly - we would suggest you use Xero's manual journal function if you wished to do monthly journals. This is how my milk trading statement looks prior to using the account journals tool. My milk production (kgMS) is showing correctly for 2018, however my milk income on the right hand side is showing one month out. That's because I've cash coded it in Xero so that the cash / accrual dates are the same. The account journals tool is how I'm going to fix that up. Account journals can be found under Adviser > Account journals. Once in there, you'll select your financial year (in my case 2018) and the account (Milk production - current year). On the next page, you'll see your milk income for your selected financial year. You should see the cash and accrual values sitting side by side one another. That's how you know the milk income has been cash coded. Using Helpers, select One month before cash as typically milk is produced in one month, and then paid in the following. If for any reason you wish to, you can also select Same month or Two months. When you click an option, it'll update the accrual side of the transactions. You can select Reset accrual if you've made a mistake with your selection. When you're happy with your accrual values, click Next. 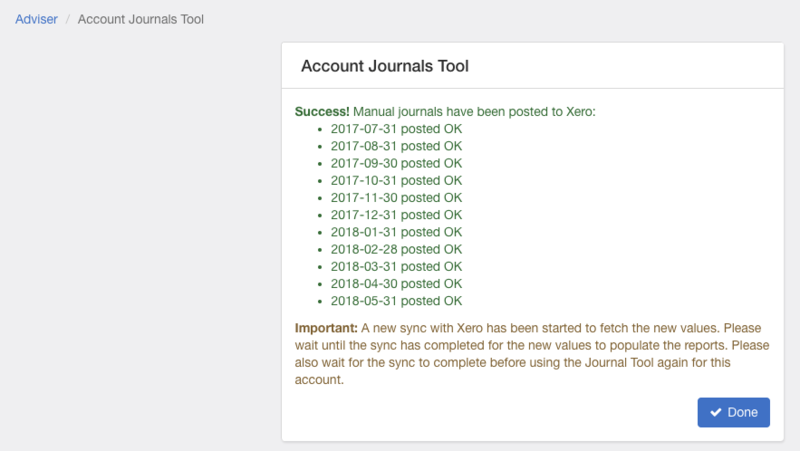 The final step in the process is to confirm the updates to the net accrual balances for the account and post these manual journals to Xero. 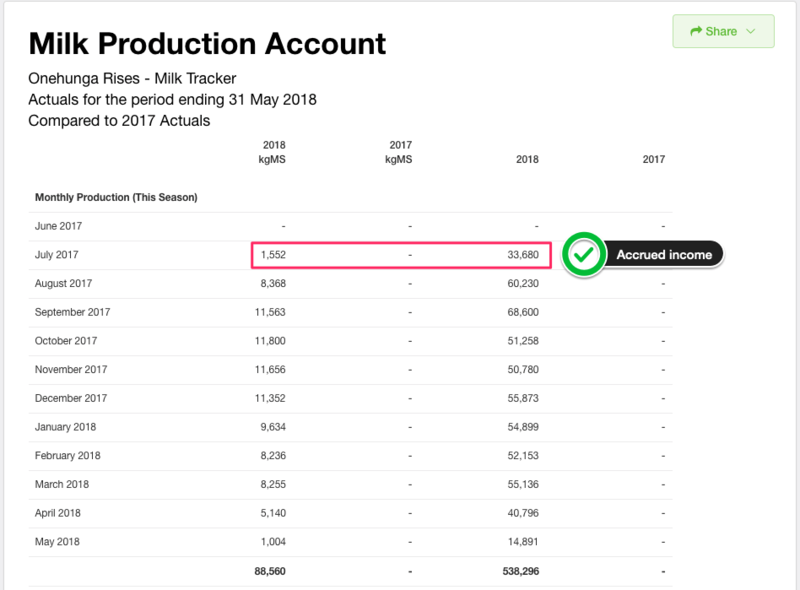 Select your contra account, such as Milk income receivables if that's present in your chart of accounts, and once happy with the updated accrual values, you can click Post manual journals. This will send the information to Xero which will sync back into Figured, update the accruals, and pull them back to the correct dates to be reflected correctly in your trading statement. After going through the account journals process, my milk trading statement is now complete. The kgMS and milk income are aligned perfectly and are ready to be part of my year end statements. 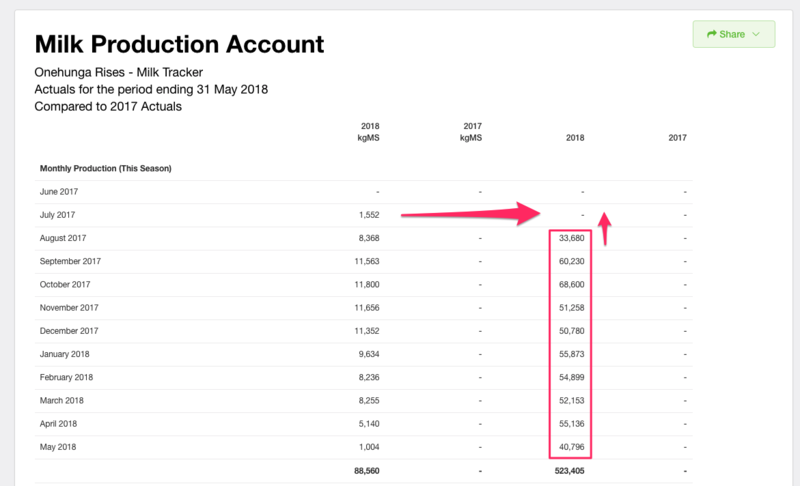 If you've just started on Xero this season and you don’t have the prior years financial information, you can add comparative data by the account journals. These journals will then be posted across to Xero which will then in turn update our milk trading statement with comparative data.